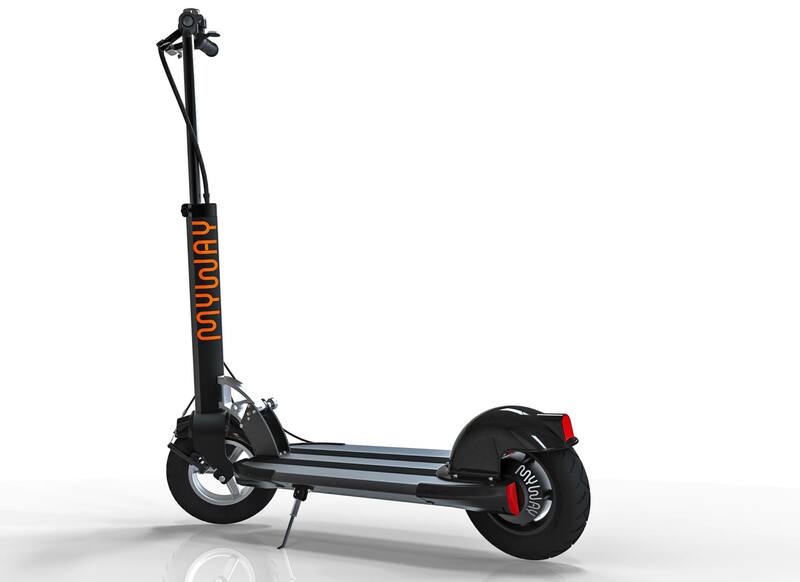 Apparently, MYWAY has come up with a new color combination to their 2014 release of the Myway Quick. 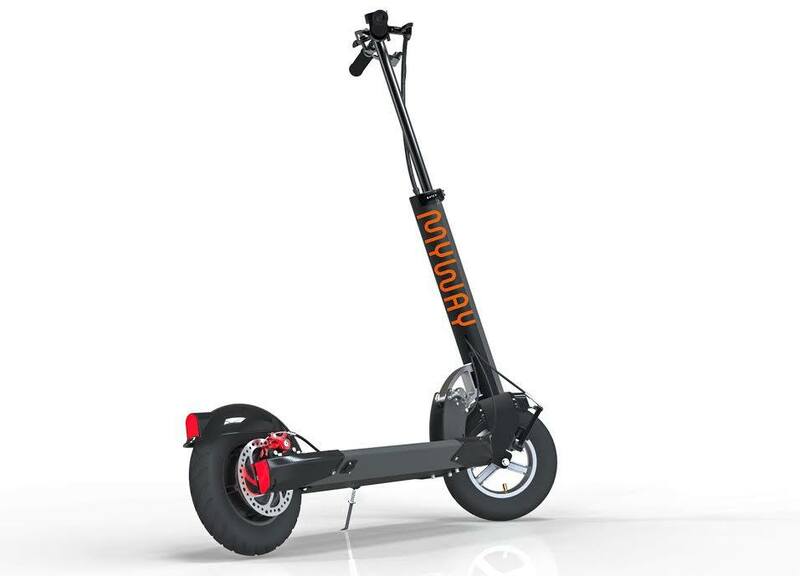 As opposed to their previously released version of the Quick with a full orange body with black MYWAY font, this wicked combination sticks to the very popular black powder coated aluminum body with a warm deep orange font across the stem of the scooter. Very nice! we say. Bring on more variations to the on-Black combination.